Although the registration of a trademark is nonessential, the benefits that doing so bestows upon your business is invaluable. 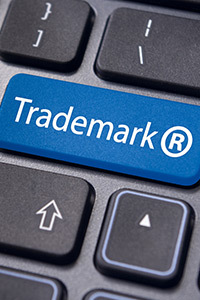 The process of registering a trademark can be intimidating, especially when it comes to navigating the complex rules and regulations that dictate trademark registration and its subsequent approval. When you work with a trademark attorney in Houston Texas at the experienced firm of Craft Chu PLCC, you will be working with a team of professionals dedicated solely to intellectual property law. Our company guarantees a transparent, simple process for your trademark registration, answering all questions that you may have along the way. At its most basic level, a trademark is understood as a word, phrase, symbol, or design, or a combination of any of these factors, that is perceived as the distinguishing source of products or goods from one entity. Your company will benefit from a trademark from an economic perspective in particular. This is because it makes products an instantly recognizable derivation from your company, giving you a financial edge. Relatedly, service marks are like trademarks, but instead indicate the source of a service rather than the product itself. With ample benefits to be had, you stand to experience substantial gains when you work with a trademark attorney in Houston Texas at the firm of Craft Chu PLCC. To learn more about trademarks and what our firm can do to protect the defining features of your company, please contact us directly at 713.802.9144. For additional information on trademarks, you may visit the USPTO.